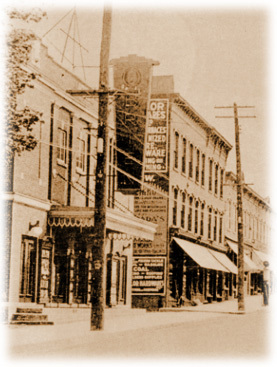 The Arnprior Theatre was purchased by the O'Brien Entertainment Corporation about 1928. 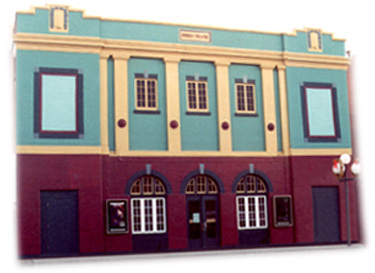 It was modernized to be a motion picture theatre and re-opened in 1929. This is the earliest photo we have of the O'Brien Theatre circa 1930. In 1949, air conditioning was added and the coal boiler was converted to oil. Around this time they "modernized" the theatre again. They removed the great awning and sign, and put on a neon sign with triangular marquee. This was to stay until 1999. 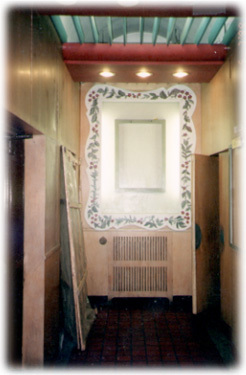 In 1950, the owners put plywood in the lobbies to square everything off - which hid the decorative arches between the foyer and lobby. 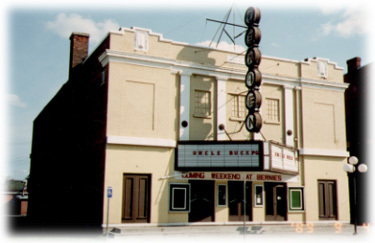 By the 70's, the O'Brien Entertainment Corporation had sold its five theatres to a Toronto based group which, over the years, sold off each theatre to individuals. 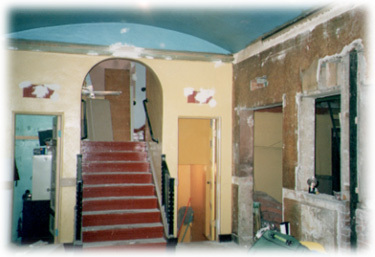 By 1989 not much had changed at the Arnprior Theatre. 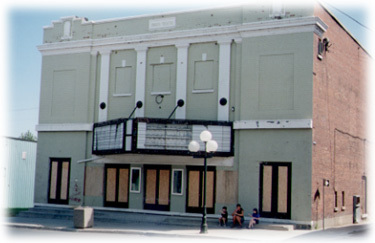 the building in 1999, it was delapidated. now the back of the office. the new ticket office resides. 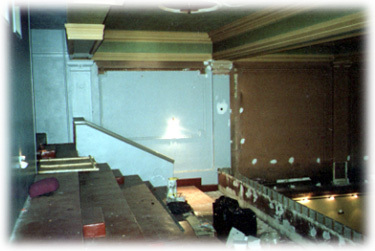 On July 1, 1999, Kevin quit his camerman position at CHRO and started ripping out seats in his new theatre. 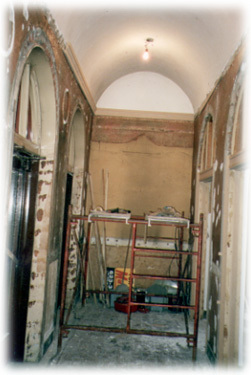 Old ductwork was removed, the plywood was taken down - to discover the arches intact. All the old stuff was removed, and the building brought back to its original look. But much needed to be done. We extended the balcony of 1923, moved the bathrooms to the main floor (from basement), moved the concession area back to allow more room in the lobby, put in new seats and new projection gear. 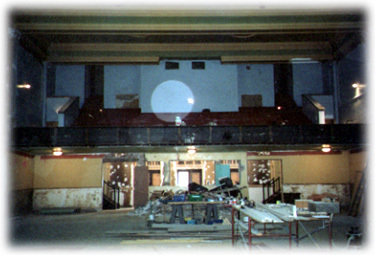 Grand Opening was June 2, 2000, eleven months and 1 day after Kevin and his buddy hauled out 300 seats (approx. 2 tons of parts) to make way for the construction! Since that time, we've painted the outside of the building. 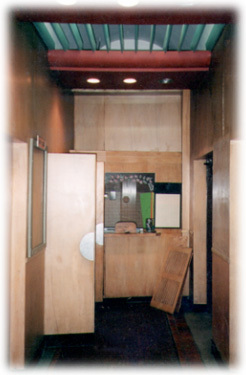 In 2003, Dolby surround sound and DTS (Digital Theatre Sound) was added and new speakers and subwoofer on the main floor were installed. In the future? One or two more screens, hopefully a large awning and O'Brien sign similar to the 1930 model. See you at the show!